While the mainstream financial media largely enables a short-term mindset for the market’s participants, the reality is, most of us would be better served by parking most of our money in true “buy-and-hold” retirement stocks. A comfortable retirement is the ultimate goal for the average investor, after all, and the most plausible path to that endzone is just getting into some reliable, high-quality names and leaving them alone. So what exactly makes a stock right for a retirement portfolio? Well, today we’re taking a closer look at eight stocks that all have not just long histories, but a track record of adapting to changes in the marketplace. Their business lines aren’t apt to ever become obsolete, either — if they do, the writing will be on the wall in plenty of time (and they’ll have the financial resources) to do something about it. 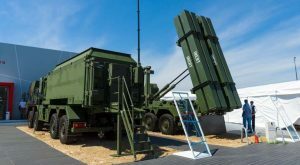 Of all the aerospace and defense stocks that tend to come to mind first when an investor thinks of a name from the military contractor space, Raytheon Company (NYSE:RTN) usually isn’t one of them. Other more prolific players like Boeing Co (NYSE:BA) or Lockheed Martin Corporation (NYSE:LMT) typically come to mind. Boeing is the name behind the popular-but-aging F-18 fighter jet, while Lockheed Martin is developing the impressive-but-expensive F-35. But it’s the drama those two other defense contractors bring to the table that makes Raytheon a compelling retirement holding. Its “boring” cache of hardware it makes for the armed forces will never not be needed. Its missiles, radars, sensors and electronics make it the grocery store of the weaponry world. Bonus: The missile that recently shot down an ICBM (a test ICBM, to be clear) moving toward the U.S. was made by Raytheon. With the technology proven to work, America may well step up its spending on such systems. Think of any category of products — consumer or industrial — you can, and odds are good 3M Co (NYSE:MMM) makes it. Post-its, Scotch tape and Filtrete air filters are just some of its brands, but it also makes everything from materials used in lithium ion batteries to food safety tests. It wouldn’t be wrong to describe 3M as a mutual fund, if you really wanted to. Where MMM really stands out in a crowd of potential retirement stocks to buy, however, is in its dividend. The company has upped it every year since 1970. So while the current yield of 2.3% isn’t jaw-dropper, investors have every reason to believe that payout is going to continue increasing on a pretty regular basis, and that can make for some very impressive yields on cost over time. This isn’t a misprint: From the financial sector, put Bank of America Corp (NYSE:BAC) on a list of stocks to buy for retirement. Those who know the BofA story well will know it arguably had a tougher time digging its way out of the subprime meltdown than other major bank stocks did. It failed its so-called stress test in 2011, and barely passed it in 2014 and 2015. Those stumbling blocks appear to be in the rear-view mirror, though, and the future looks bright. CEO Brian Moynihan is building a lean, mean, profit-making machine, and is cutting costs aggressively but appropriately. There will be bumps in the road. Banks are arguably the most economically sensitive industry within this look at the market’s top retirement stocks. It’s unlikely we’ll ever again get the kind of prolonged, low-interest-rate environment that was such a headache for banks after 2008. It’s generally a reasonably profitable business to be in, supporting the dividends most banks — including BofA — want to pay. Yes, telecom is a commodity, but it’s a commodity dominated by two key players that keep each other in check, and keep everybody else at bay. Verizon Communications Inc. (NYSE:VZ) is the slightly bigger brother, but AT&T Inc. (NYSE:T) is the better long-term buy from here. Verizon’s recent purchase of Yahoo is going to be a complicated revitalization process at best, while the pairing of AT&T with Time Warner Inc (NYSE:TWX) will largely redefine the lines we draw and don’t draw between media and messenger … even more than its purchase of DirecTV has. In the meantime, AT&T’s dividend and dividend growth rate have been rock-solid steady, growing every year for more than three decades. And to the extent it matters, AT&T is getting well-positioned to be ahead of the curve on the technology front. It’s going to be a pace-setter in the 5G market, which should offset at least some of its customer-attrition worries. What could be more boring than investing in ketchup, mustard and pickles? Nothing. Yet, name one three-month period you’ve gone to the grocery store and not purchased at least one of those items. It’s that constant recycling of customers that keeps the money flowing for Kraft Heinz Co (NASDAQ:KHC), and will do so for the indefinite future. There’s little revenue or earnings growth to speak of … at least not much beyond that driven by inflation. The dividend yield of 2.6% isn’t exactly red-hot, either. The company pays it — and raises it — very reliably, though, just as it did before Kraft and Heinz merged in 2015. People might stop going to restaurants, but they’re not going to stop eating altogether. The Coca-Cola Co (NYSE:KO) seems a somewhat surprising name to add to any list of stocks to buy for the long haul, what with the ongoing shift away from sugary drinks to healthier options. Beverages aren’t going away, though, and perhaps more important, Coca-Cola is considerably more than just a soda supplier anymore. It’s also Dasani water, Minute Maid juices, Fresca and more. Be that as it may, where Coca-Cola really stands out as a retirement play isn’t so much is increasingly diversified product base, but its geographic diversity. Last quarter — a fairly typical quarter by all measures — more than half of its non-bottling revenue was generated outside of North America. Yes, KO stock has been hot and cold of late, in step with a slow decline in the company’s top and bottom line since 2012. With James Quincey taking over as CEO in May, though, the company appears to be getting a much-needed shakeup. There’s a vision now that simply hasn’t existed in years, and it could set the tone for decades. 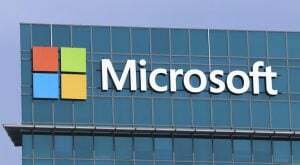 Of all the stocks to buy for retirement that have earned a spot on this list, software (and now hardware) giant Microsoft Corporation (NASDAQ:MSFT) is arguably the riskiest — technology stocks always are. When you’re Microsoft, though, your sheer size and scope serves as a shield against the occasional stumble. Just as a refresher, Microsoft does a little of everything, and is doing more of it on a recurring revenue basis. Its Office productivity suite that used to sell on store shelves is now available online via a monthly subscription, as is access to its cloud-management platform Azure. While the current dividend yield of 2.2% still doesn’t categorize MSFT as first and foremost an income-generating name, it does set the stage for reliable cash flow … not unlike a grocery stock or utility. No list of retirement stocks would be complete without a utility company. The better route to take to this destination isn’t an electric utility play, though. They can be overly sensitive to changes in the price of their fuel sources. The steady Eddies in the sector are water utility names, and the pick of the litter is American Water Works Company Inc (NYSE:AWK). At a trailing price-to-earnings ratio of nearly 30, AWK isn’t cheap; none of them ever are. But you’re paying for quality. Revenue has increased in nine of the past 10 years, as has the bottom line. Last year’s net income broke the growth streak, but that was an anomaly. It’s the nature of the business that makes it so compelling. Water bills — usually the cheapest of any monthly expense — are usually paid with no complaint. A closer inspection of water-billing rates, though, clarifies that these outfits can (unlike power companies) pretty much demand rate increases from local-government oversight boards at-will. They’re never huge, but they never stop. That’s a big part of why AWK is building a nice little streak of dividend growth. As of this writing, James Brumley held a position in T.
Article printed from InvestorPlace Media, https://investorplace.com/2017/06/8-no-brainer-retirement-stocks-to-buy/.